Some friends put together an interesting 4 minute video dealing with the big life questions: where did we come from? why are we here? where are we going? Unlike other posts on this blog, "Falling Plates" is less about experiencing Los Angeles - more about experiencing life. Thoughts, impressions, and feedback welcome. 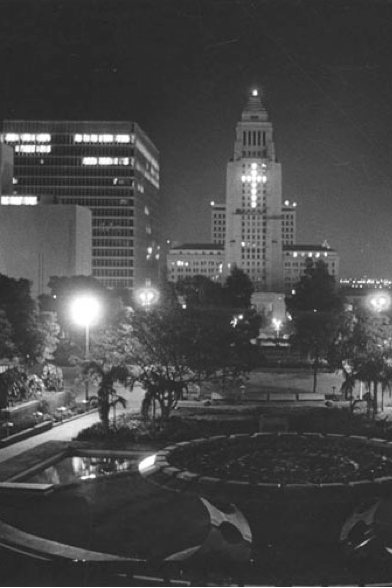 City Hall, downtown Los Angeles, Christmas 1973. Peace on earth, good will to men ... and Merry Christmas to all. 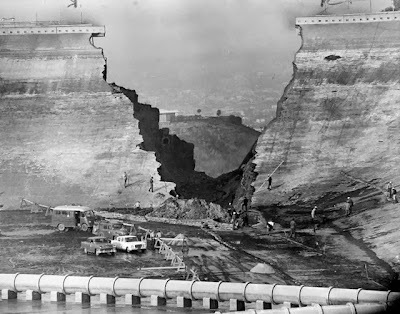 50 years ago today, the 19 acre 300 million-gallon Baldwin Hills Reservoir collapsed, destroying 65 homes and killing 5. This video clip from the History Channel gives an excellent overview in this often overlooked chapter in Los Angeles' history. A little Christmas gem in the northwest corner of Los Angeles is the "Back to Bethlehem" event, held on the two weekends before Christmas. 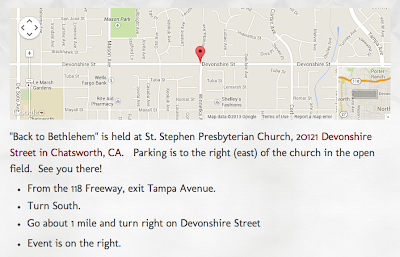 This year the event will be held at St. Stephen Presbyterian Church 20121 Devonshire Street in Chatsworth. 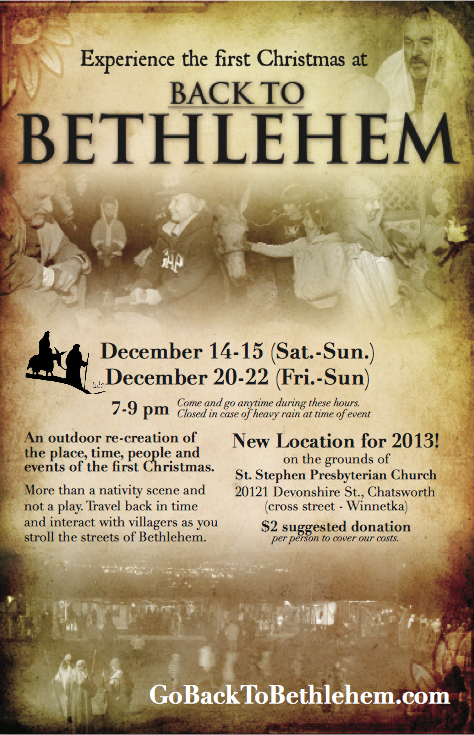 The event's web site describes it as "more than a nativity scene ... not a play". That is an understatement. It's a very impressive re-enactment of what life might have been like in Bethlehem as Mary and Joseph would have experienced it, entirely staffed by volunteers. These photos were taken a few years ago when my family and I attended. The wait to get in is very minimal. 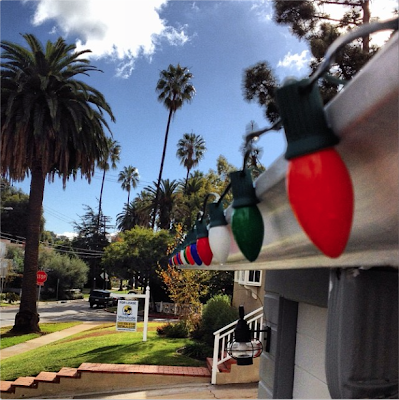 While Los Angeles doesn't get snow, it can surprisingly cold, especially at night. OK, not East Coast or Midwest cold, but still pretty chilly. If you plan on attending, you'll probably want to bring a warm jacket - and hats and gloves. Mary and Joseph inside the stable, sharing the story of the first Christmas with the thousands of visitors every night. Each year this event attracts 18,000 people over two weekends. The night we went, the event seemed well attended but never felt overly crowded. The shops and stalls were in a circle around a large field that is part of the church's property. When we attended, the entire event was outdoors (I'm assuming that is still the case). A shepherd recounting his experience of the angelic visitation announcing Jesus' birth. What was impressive was that this particular volunteer playing the role of a shepherd was bi-lingual. 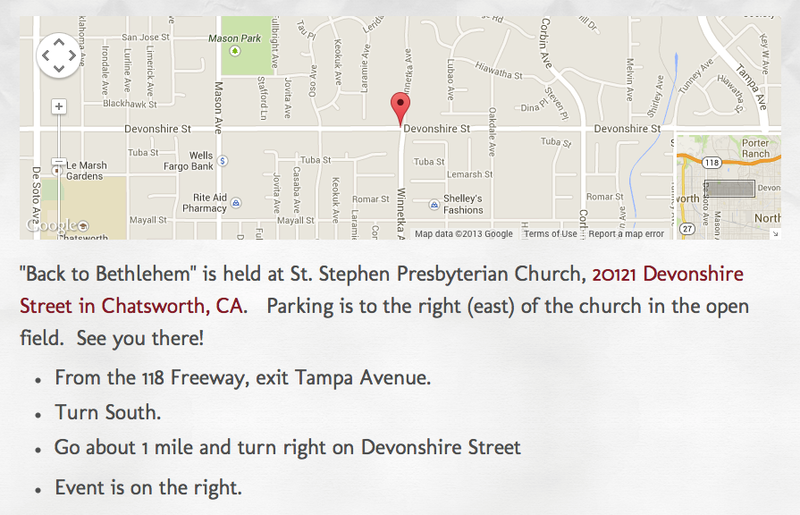 Here's a map and link to directions. Parking is free and there is $2 per person suggested donation to help cover some of their costs in putting on this outstanding event. On behalf of our family and the thousands of kids and adults who experience this every year, a huge THANK YOU to the hundreds of volunteers that make this event happen!